E Type Series 1 & 2. 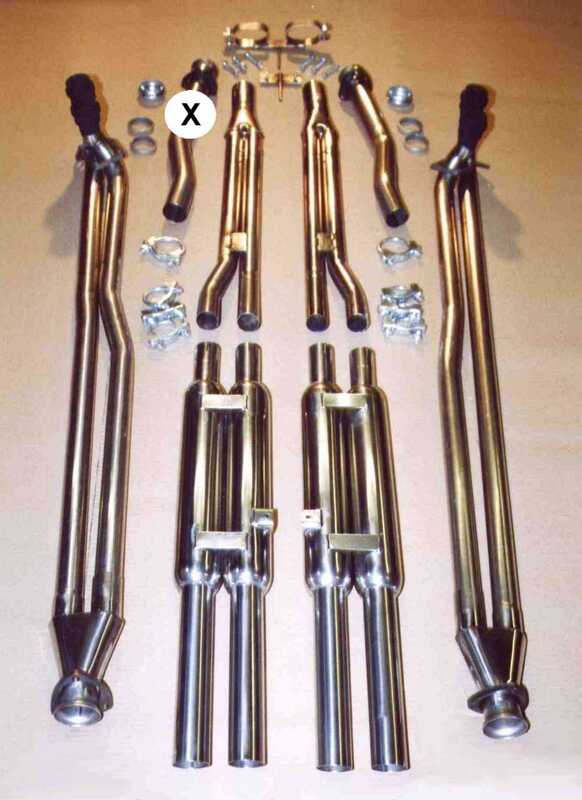 Twin tuned length pipes running from the original cast manifolds and merging alongside the transmission then dividing in two from the central silencer box and running back to twin silencers and tail pipes. Boosts mid-range performance by approximately 12%. For an explanation of how it works please see ‘TT Systems Explained’. All clamps and mounts included. 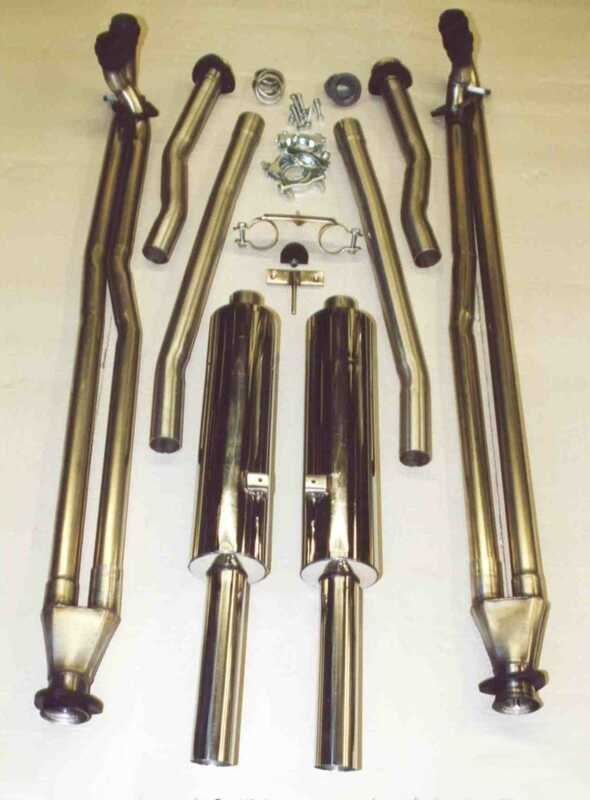 Splayed tail pipes available for Series 2 cars. TT System for S1 & S2 E Type. E Type V12 Series 3. The original TT system for the V12 E type – still available to special order for those who don’t want the exuberance of the TT Super Sport version. Twin tuned length pipes running from the original cast manifolds and merging alongside the transmission. The twin silencers end with 21/4” diameter tail pipes. All clamps and mounts included. Boosts mid-range torque by approximately 12%. For an explanation of how it works please see ‘TT Systems Explained’. Sound is sharper than standard but not too noisy for daily use. Twin tuned length pipes running from the original cast manifolds and merging alongside the transmission. The Super Sport has a striking appearance and wonderful sound qualities – a much sharper tone than standard and no shortage of volume. A pair of extra underfloor straight-through silencers are available for those who like to be more civilized. They take the place of pipes marked X in the photo. This system boosts mid-range torque by approximately 13% and adds approximately 25 b.h.p. For an explanation of how it works please see ‘TT Systems Explained’. 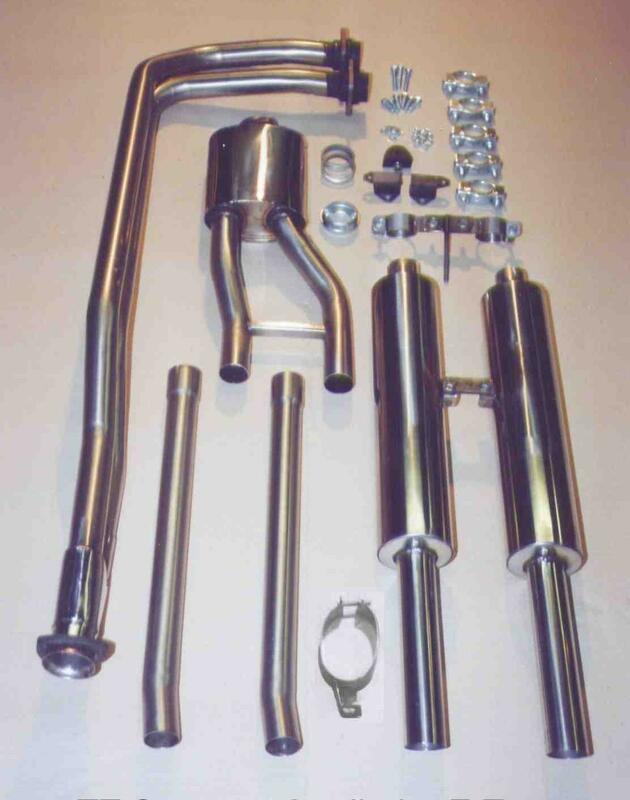 Extra Silencer – TT Super Sport. TT Super Sport System – V12 E Type.